If you use K&N, DNA and other Cotton-Mesh filters like this in very dust conditions, the filter effiziency will be much lower with a dirty air filter. When very dirty these filter also might let pass fine dust as well. Also the stock paper filter does not have enough filter effizency for off-road use. 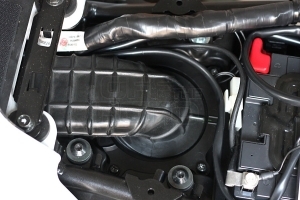 Due this reason we have developed an off-road foam air filter kit for the Tenere. 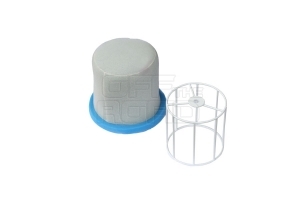 The foam filter can be cleaned very easily with normal fuel (very easy on a long trip), the filter can be oiled with every foam air filter oil. Compared to the stock paper filter the air flow is strongly improved. 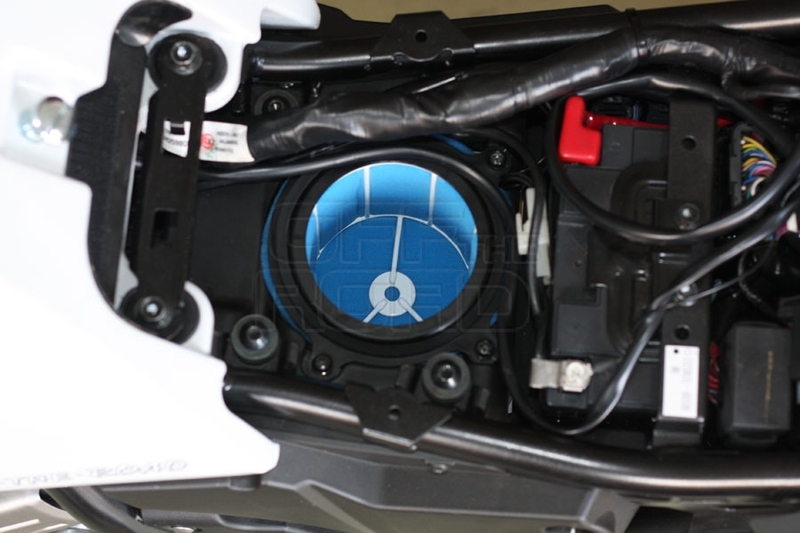 The inlett of the air filter is 90mm! It can be used with or without the stock snorkel. No stage 2 filter is necessary! Very usefull for long distance trips in dusty conditions, e.g. africa trips. The filter kit includes the racing foam filter and a filter cage, both special made for the XT660Z Tenere.